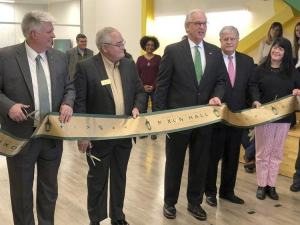 The dedication and ribbon cutting ceremony for MSSU’s newest campus building, Jeremiah “Jay” Nixon Hall, took place on Thursday, January 31, 2019. 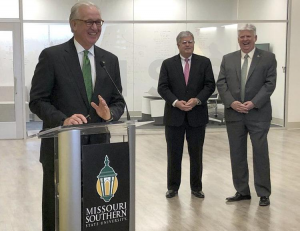 Jay Nixon spoke at the event, applauding Missouri Southern’s devotion to the education of students. 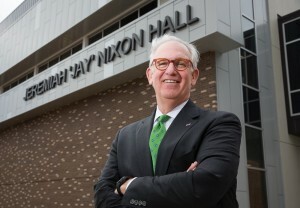 Named for the former Missouri governor, Nixon Hall houses the university’s mathematics program. The two year, $8.1 million dollar facility was built to meet the growing student demand for STEM (science, technology, engineering and math) classes, and features classrooms, faculty offices, a computer lab and a mathematically-themed decor.